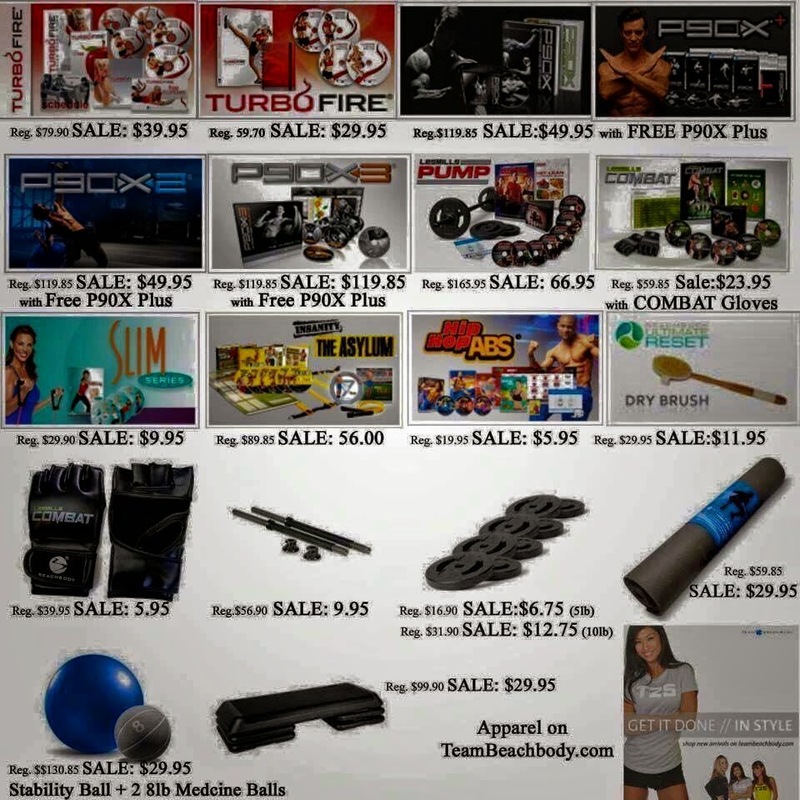 During the week of Thanksgiving, Team BeachBody is offering deep discounts on a variety of Beachbody products. The offer is valid a LIMITED TIME ONLY starting Tuesday November 25th 5pm PST until Tuesday December 2nd 5pm PST. Quantities are limited and often sell out within the FIRST DAY of the promotion, so be sure to check them out now, then set a reminder for yourself to go off when the promotion starts so you can log-in quickly and claim the items you want. 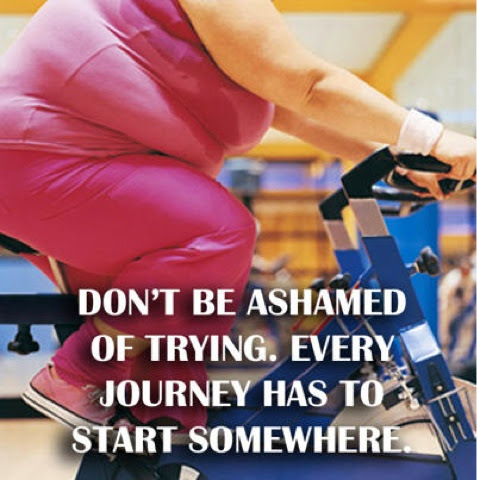 You also want to make sure your already signed up for a FREE Team BeachBody account. You can do that by going here and clicking on the JOIN button. That way you'll be all set to order when the SALE GOES LIVE AT 5PM PST. COME BACK TO THIS PAGE AT 5PM AND THE LINKS WILL BE LIVE. Trust me, you won't want to wait till Wednesday to place your orders...these deals go fast! This is also where you'll go to place your ORDERS. You can order as many of these items as you want. Which means not only can you save on programs for yourself, but you can also give the gift of health and fitness for the holiday season. If you have any questions or need help picking out the best option for you, feel free to contact me. Also, be sure to check out my Healthy for the Holidays Challenge that starts on Monday December 1st! 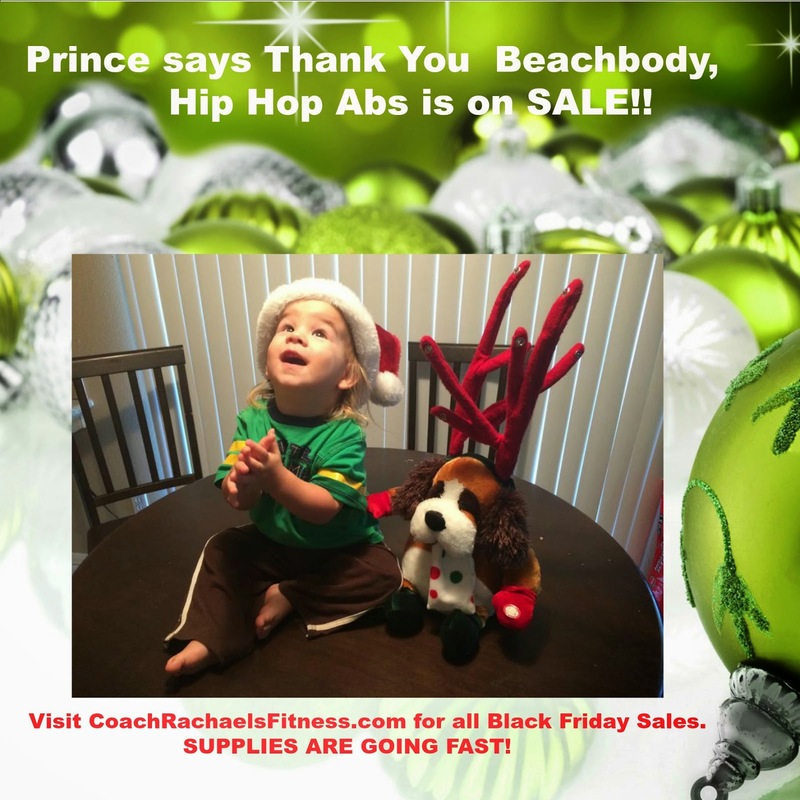 For all other program options click on the Home page and click on Beachbody Programs. To Join my next challenge group Click on the Challenge Group tab. This simple stuffing is loaded with sweet apples and cranberries and topped with pine nuts. It tastes great warm or cold. 1.Heat oil in medium saucepan over medium-high heat. 2. Add onion and garlic; cook, stirring occasionally, for 2 minutes, or until fragrant. 3. Add celery and apple; cook, stirring frequently, for 8 to 10 minutes, or until tender. 4. Add broth, quinoa, salt, cumin, and pepper. Bring to a boil. 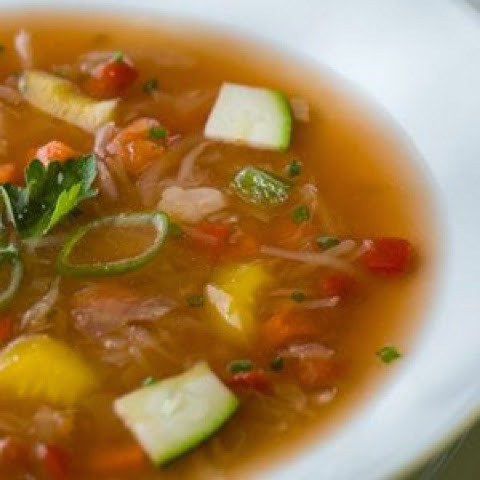 Reduce heat to medium-low; cook, covered, for 15 minutes, or until most of liquid is absorbed. Remove from heat. 5. Add cranberries. Cover and let stand for 5 minutes. 6. 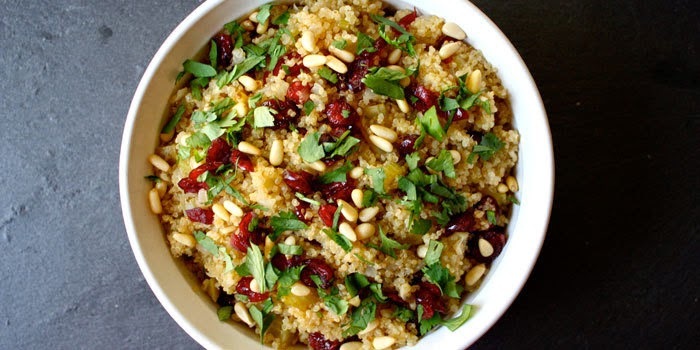 Add cilantro and pine nuts; fluff with fork and serve. 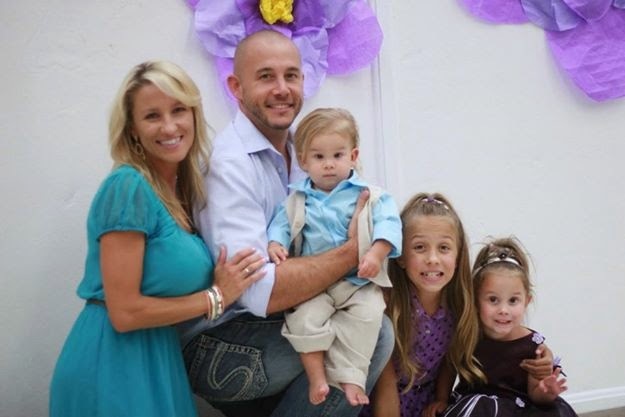 HAPPY THANKSGIVING FROM THE ROBARTS!! 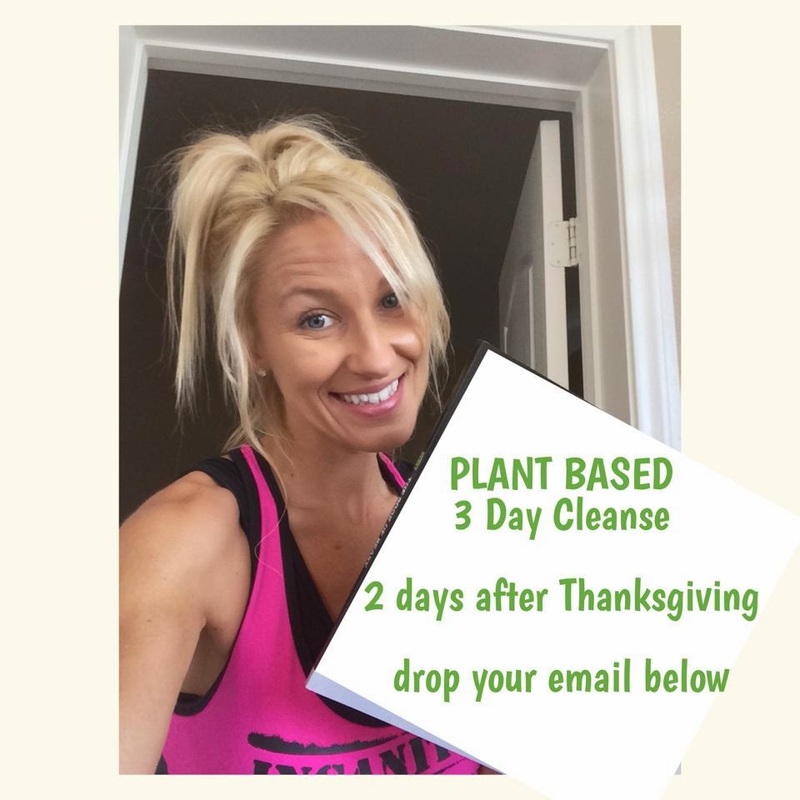 Did you hear about the 3 day cleanse I am hosing after Thanksgiving? I am excited to eat and be merry. BUT, I am committing to not go NUTS over grandmas cheesecake or extra piles of stuffing. I am heading into the New Year with success! I will be hosting a 3 day REFRESH cleanse after Thanksgiving. 15 Sources Of High Protein Other Than Meat. Protein is the only nutrient directly responsible for building muscle and when you exercise your protein needs increase. This is why body builders and a lot of athletes are obsessed with their protein intake. However protein isn’t just found in meat, eggs and milk or sourced from powders. There is also protein in vegetables, beans, legumes, and grains. Even though some of these protein sources are lacking in complete essential amino acids I thought it worthwhile producing a list of the top protein foods besides meat and eggs. 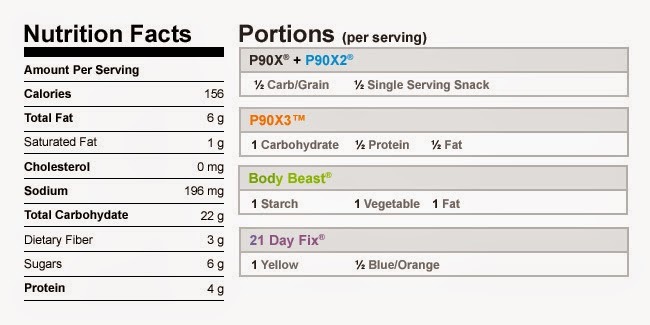 Did you know that your nutrition counts for about 85% of your results? I would like to take today to talk about Shakeology. First I would like to share that I am a certified Nutrition Coach, Group Instructor and Personal Trainer of 13 years. I have trained athletes, bikini models, body builders, and severely obese clients throughout my 13 years. I used to manage GNC and several Nutrition shops as well as helped manage and run a few gyms. I had to compare products on a daily basis. I came across Shakeology 5 years ago and NOTHING could compare to it. I immediately began incorporating it into my diet as well as my clients and the results were incredible. Shakeology alone will help you loose weight, reduce food cravings, increase your energy and mood as well as improve digestion and regularity. IT IS NOT JUST A PROTEIN SHAKE. IT IS A SUPERFOOD MEAL REPLACEMENT. Alot of people think that a protein shake is enough, IT IS NOT!! Shakeology is FOOD. It is all your fruits and vegetables you need in a day. Plus pre biotics and pro biotics. It is like taking a SUPER VITAMIN, basically "The fountain of youth " in a shake. It is so packed with all your body needs that you no longer have to take a multi vitamin while drinking it. It is 100% REAL FOOD. By drinking Shakeology once a day your are guaranteeing your body is getting what it needs to keep you * HEALTHY * while you are on your calorie deficit meal plan. PLUS, It will give you the energy you need to continue your workouts. I have numerous success stories including omy own to back up my belief. It's incredibly nutrient dense and only 130 calories. You can't find all that nutrition in those few calories ANYWHERE.... not even the world's most perfect salad! The taste is so good my kids drink it. There are numerous ways to make it and you can bake with it too. It literally is your healthiest meal of the day. 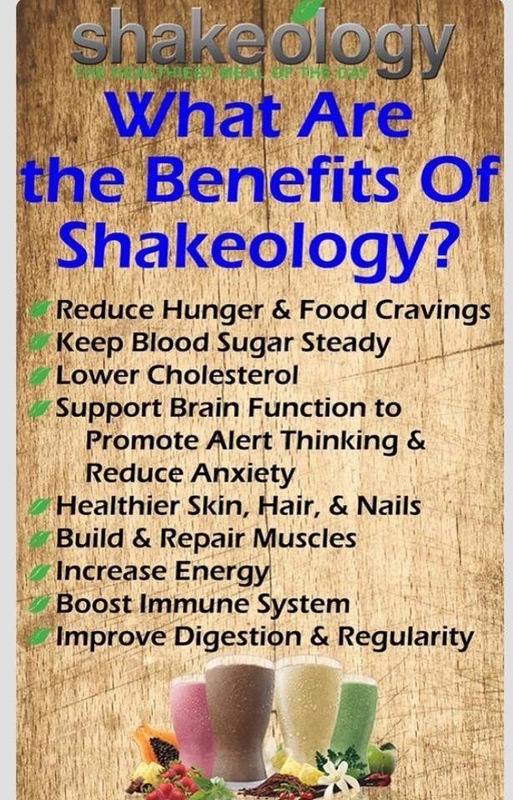 THIS IS NOT A POST TO SELL YOU ON SHAKEOLOGY. This is me telling you my experience and knowledge on what I know WORKS. I LOVE our family Saturday morning sweat sessions!! I am loving this program. It's a wonderful break on my knees from the constant jumping and Plyo action in Insanity. I am a cardio junkie so this is all new to me. My body is adapting very fast. I am feeling it EVERYWHERE!! We have a PRIVATE group going RIGHT NOW all done via Facebook. Order your Body Beast Base package here ON SALE for ONLY 39.90. One you place your order I will send you your participant starter guide and get you connected to our group. All of our challenges are done through private groups on Facebook. I coach you the entire program for 100% results. You check into the group daily for recipes, daily tips, and motivation. In addition to me, are groups are small enough that you will get to know the other challengers in the group. My favorite part about these groups is when you find friends and people who are in your similar stage in life and have similar goals so that you can hold each other accountable and encourage each-other. There are weekly cash and prize giveaways. You will receive a T shirt upon completion as well as before and after photos. BONUS~ IF YOU CHOOSE TO SUBMIT YOUR RESULTS THERE IS A SHOT AT SOME SERIOUS CASH YO!!!! ONE HUNDRED THOUSAND CASH MONEY!!! ITS A BLAST!! JOIN US NOW! Make this the night before. Wake up, grab, and Goooooo! Mash half of the banana in a jar, container, or bowl. Next, add the oats, yogurt, milk, chia seeds, cinnamon and stir to combine. Refrigerate overnight. The next morning, top with pecans and the remaining 1/2 banana and enjoy. then, simmer till vegetables reach desired consistancy. 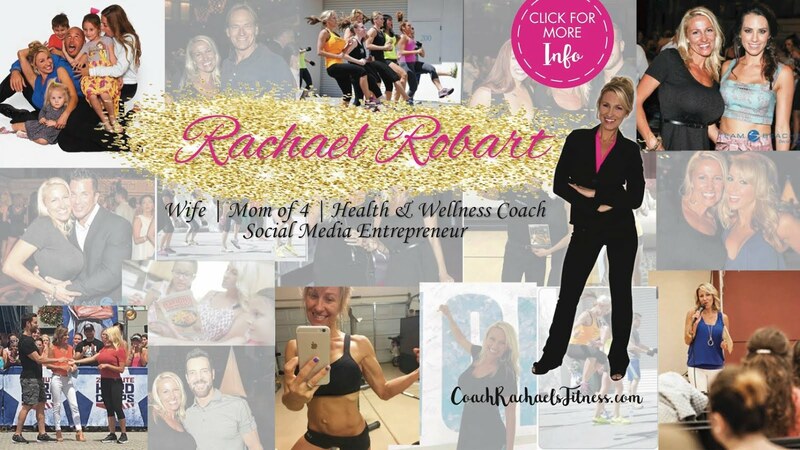 Make me your coach today, it's FREE to get started!